The ASA (Adverising Standards Authority) kicked of a storm of protest today when they banned a Cycling Scotland advert because the person on a bicycle wasn’t wearing a helmet and was cycling more than .5m out from the kerb. 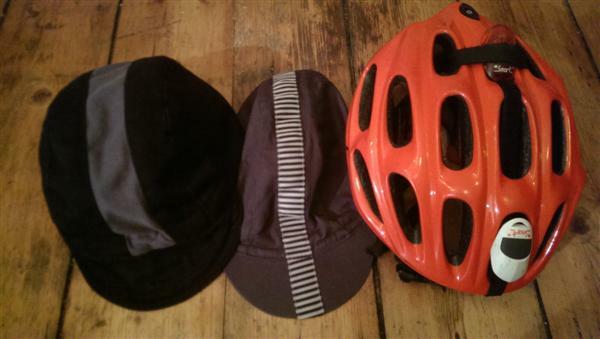 Leaving aside the .5m issue, lets look at cycling helmets, always a subject of hot debate. Some countries, like Australia, Canada and New Zealand legislate to make wearing them compulsory whilst the majority don’t. The best countries in Europe to cycle in, namely Holland and Denmark, don’t have a culture of wearing helmets. The majority of commuting cyclists I see in the UK are wearing Helmets and Hi-vis clothing with half of those in lycra. My experience of cycling in Holland is that the wearing of Helemts, Hi-vis and lycra is much rarer, most folk simply jump on a bike with what they have on, the same clothes they’d wear to walk down the road. Why this difference? Maybe cycling is not perceived to be risky, maybe the infrastructure for cycling is better, maybe cycing is not predominantly viewed as a sport or something to be undertaken at high speed all the time, therefore there is little chance of falling off and so no need for a helmet. FOr me, sometimes I do sometimes I don’t, it depends on the type of cycling I’m doing. MTB, yes to helmet, fast road cycling, yes to helmet, however around town, social cycling or in parks and on paths, no helmet for me. I made the above decisions based on my experiences and perception of risk in each type of cycling, they are by no means set in stone. If I think there is a risk of ice I’ll wear a helmet, if it’s foggy I’ll wear my helmet with the lights on it switched on. I’m happy to make these decisions for myself, I’d be most unhappy if it was enshired in law that I had to wear a helmet to cycle. Are you a sometimes yes, sometimes no helmet wearer? Or are you firmly footed in one camp or the other?